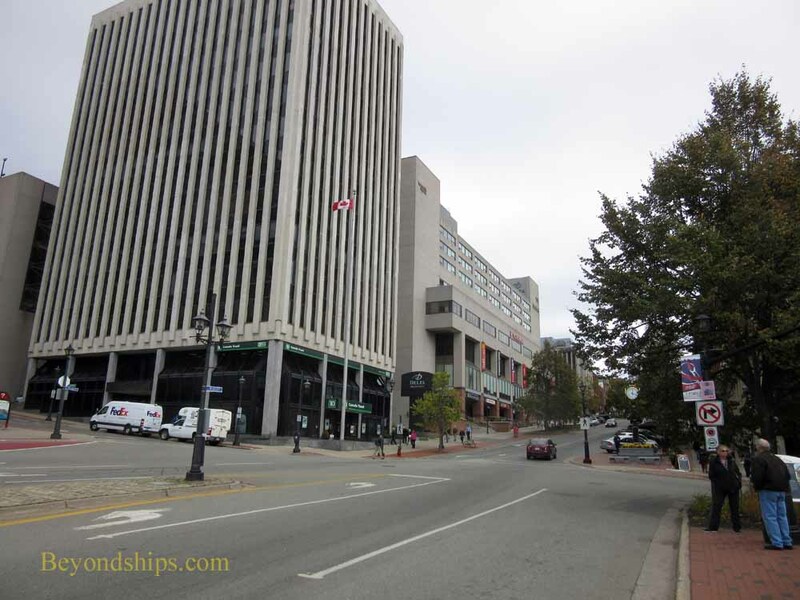 While the city center in most cities is called downtown, in Saint John, it is called Uptown. This is apparently due to the fact that most of it is uphill from the harbor. Many of the buildings in this area were built following the Great Fire of 1877 and thus it is an interesting assemblage of late Victorian architecture. 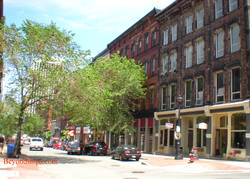 Above: King Street, Saint John's main street. Below: The Police Museum at the base of King Street. Undamaged in the fire was The City Market officially opened in 1876 (below and right). Reflecting Saint John's shipbuilding heritage, the ceiling of the market is constructed like the inverted hull of a sailing ship. The market still has stalls with fresh seafood, produce, meats and hand-crafted items. Across the street from the City Market is King's Square (left). This park features floral displays as well as the King Edward the VII Memorial Bandstand. This unusual two-story bandstand was the site of concerts that would attract thousands of people. On the other side of King's Square is the Firefighters' Museum (above right) and the Old Courthouse (left). Somewhat further away from the harbor is the Loyalist House (left). 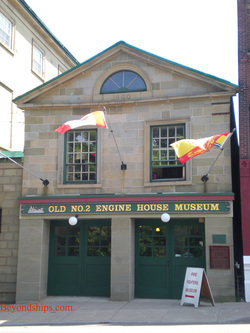 This museum was the home of a Loyalist family who settled in Saint John at the end of the American Revolution. Built in 1810, the house survived the Great Fire of 1877 because servants placed wet towels and sheets around it. Today, it features period antiques. The ﻿﻿﻿Jewish Historical Museum ﻿﻿﻿(right) is the only Jewish museum in Atlantic Canada. At one time, Saint John had a substantial Jewish population, many of whom had fled persecution in Eastern Europe at the end of the 19th Century. As young people have moved off to bigger cities in Canada and the United States, the Jewish population of Saint John is now only about 40 families. Outside of the business area of Saint John are reminders that this area has not always been so peaceful. 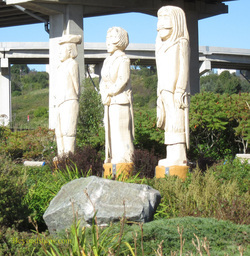 ﻿Fort Howe Lookout﻿ (right) is the site of an English fort built to protect the area in 1778. It offers panoramic views over the city. 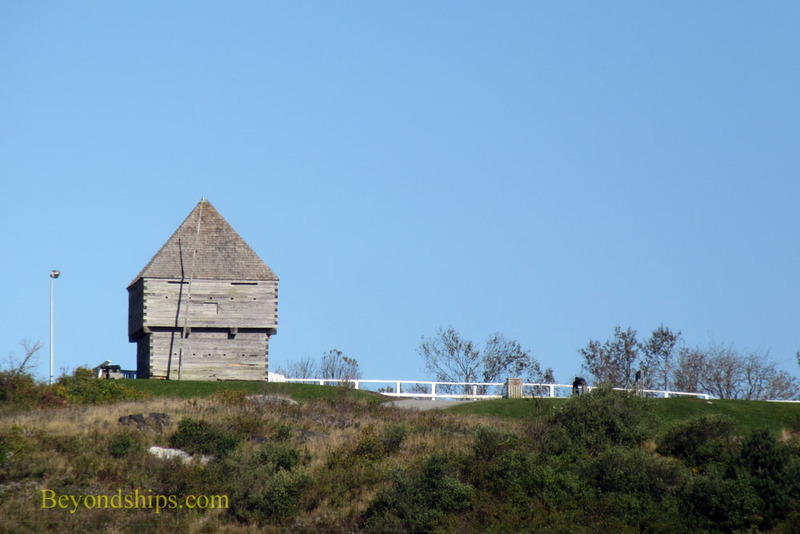 The Carleton Martello Tower (left) was one of 16 Martello towers built to defend Canada during the War of 1812. It has a restored gunpowder magazine and soldiers' barracks. 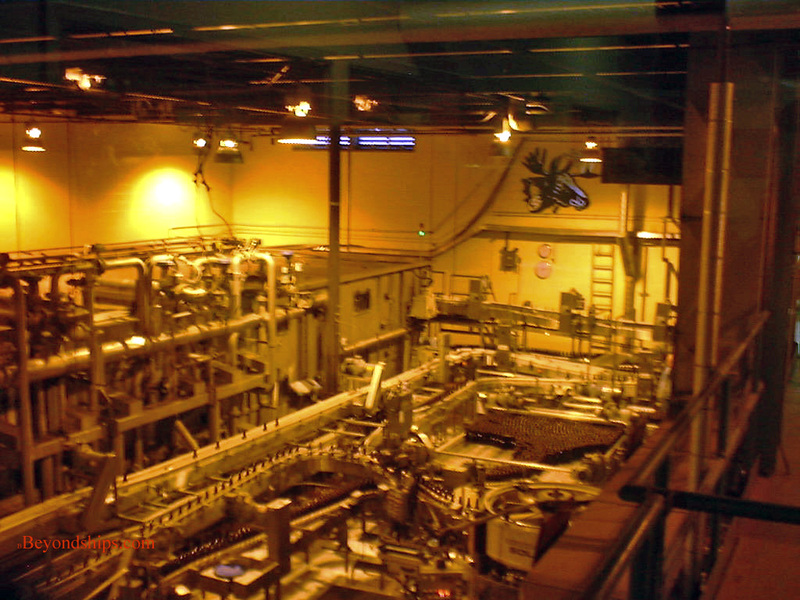 Also on the outskirts of the city is the home of the Moosehead Breweries, Canada's oldest independent brewery. Moosehead beer is very popular in Canada and has many followers in the United States. The Oland family has been brewing beer in Canada since 1867. However, the Great Explosion of 1917 in Halifax destroyed their original brewery. 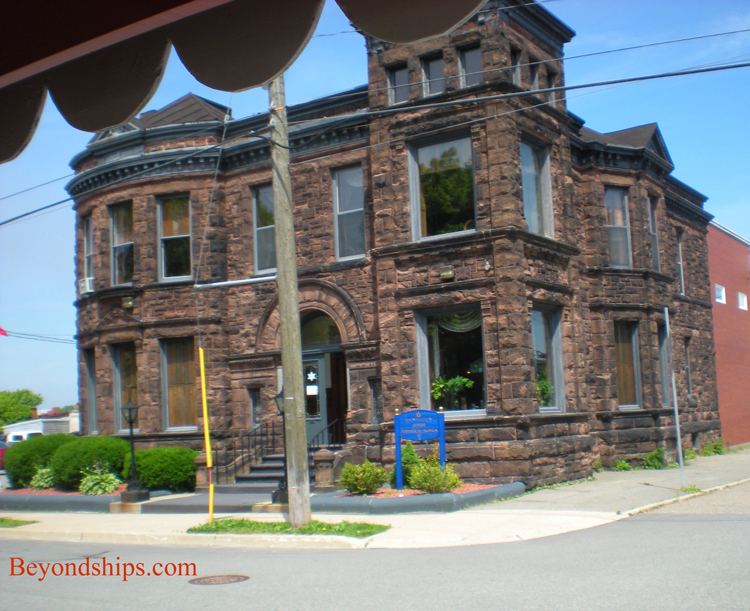 They then moved to Saint John where they purchased the predecessor to today's brewery. The brewery is very modern and high tech. Alas, unlike some wineries, it does not give away free samples. However, there is a store where one can purchase Moosehead products and souvenirs. 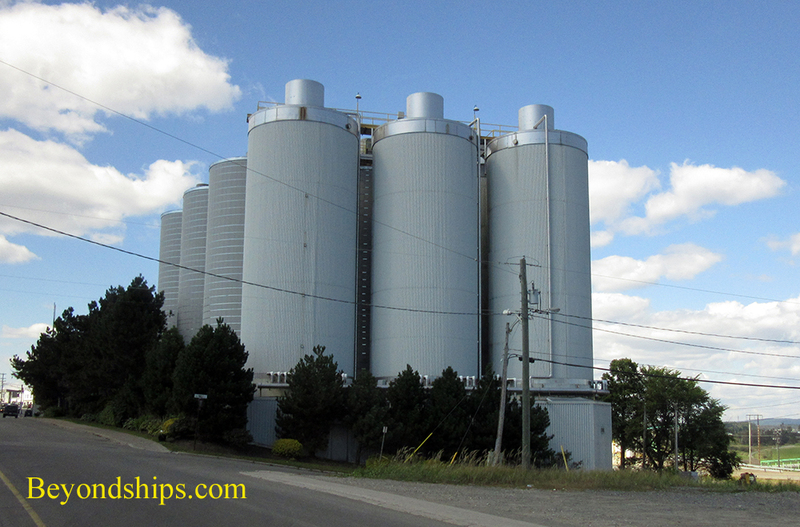 The brewery is located in the suburbs of Saint John and is not within walking distance of the cruise port.